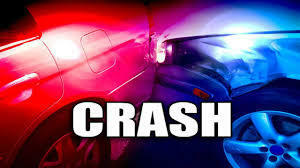 One person was killed in a single vehicle crash Thursday afternoon in Jackson County. The Jackson County Sheriff's Office responded to the crash on Highway 51 near Traux Traer Road in Elkville. A car, driven by Ambyr Wallace, was going northbound on Highway 51, when she lost control behind the wheel, left the roadway to the left and overturned. Wallace was not wearing a seatbelt, was ejected from the vehicle when it overturned and pronounced dead at the scene. Wallace's brother, 26-year-old Aramis Wallace of DuQuoin, was a passenger. He was transported to an area hospital with non-life threatening injuries.